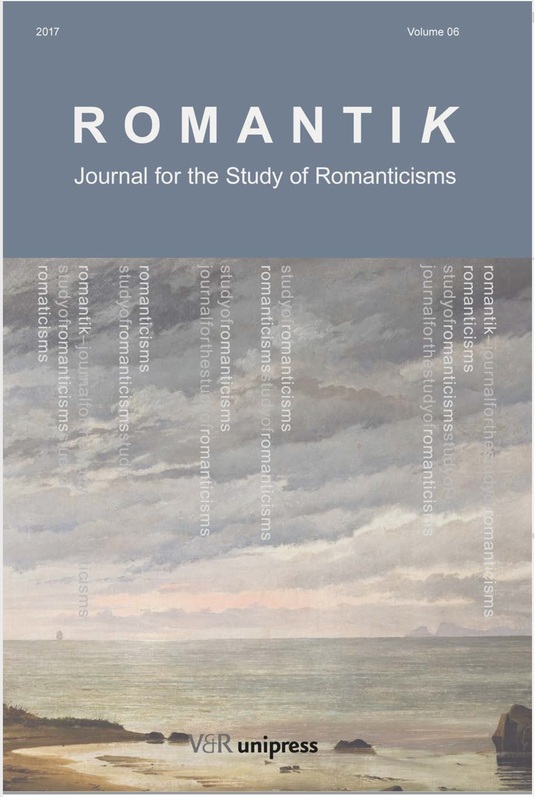 Romantik: Journal for the Study of Romanticisms is a multi-disciplinary journal dedicated to the study of romantic modes of thought. The articles – presented in English – range over the full variety of cultural practices, including the written word, visual arts, history, philosophy, religion, and theatre during the romantic period (c. 1780–1840). But the editors also welcome contributions to the discussion of pre- or post-romantic representations. Since the romantic era was characterized by an emphasis on the vernacular, the title of journal has been chosen to reflect the Germanic root of the word. We emphasise that the journal is interested in all European romanticisms – and not least the connections and disconnections between them – hence, the use of the plural in the subtitle. Romantik, an annually released double blind peer-reviewed journal, promotes innovative research across disciplinary borders. It aims to advance new historical discoveries, forward-looking theoretical insights and cutting-edge methodological approaches. The journal will occasionally send out calls for papers on a particular theme. The articles will be collected in thematic ‘special issues’ that are intended to provide a space for focused attention on a current, developing or important area of study. Each issue contains a review section, where we draw special attention to works published in the Nordic countries, as well as exhibitions with relevance to Romanticism.